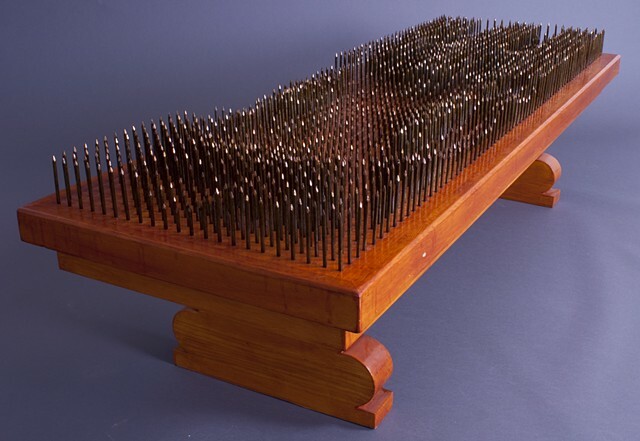 26" x 74" x 25"
This work expands on the trope of the bed of nails. I used this structure to map the physical contours of my own body. By turning the grid into a system of indexical measurement the theoretical is intended to mitigate physical existence. In this way a rational system of analysis becomes a means to chart the boundaries of the intolerable.